Netflix on Wednesday announced plans to produce a live-action adaptation of Lemony Snicket's A Series of Unfortunate Events. The company said the new series is being fast-tracked with the help of Paramount Television, the studio behind the 2004 movie starring Jim Carrey. The series, which began with The Bad Beginning in 1999, is a collection of 13 children's novels that follows Violet, Klaus and Sunny Baudelaire after the death of their parents. 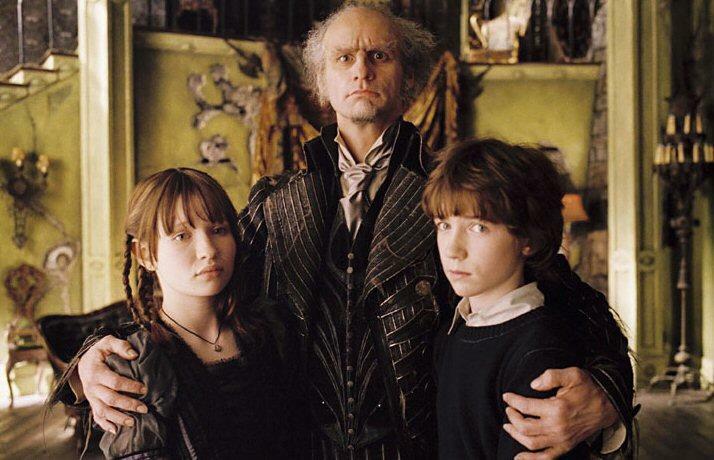 "On the search for fantastic material that appeals to both parents and kids, the first stop for generations of readers is A Series of Unfortunate Events," said VP of Original Content at Netflix, Cindy Holland. Netflix has enjoyed success with original content in the past, with House of Cards and Orange Is The New Black among the service's best. But those shows are targeting toward more mature audience, so gaining a familiar and beloved series that appeals to all ages is a big coup for Netflix. A Series of Unfortunate Events has a uniquely dark vibe that's both funny and relatable, a kind of Addams Family cousin with an equally morbid sense of humor. The books have sold more than 65 million copies worldwide, and have been translated into 43 languages. This isn't Netflix's only family-oriented content, as the service previously introduced Turbo Fast, and is working on The Adventures of Puss In Boots and Ever After High. Right now, Netflix is on the hunt for a director to help realize the vision set by the books and the Paramount-produced movie. No word on who might be in the running to star, so we'll be on the lookout for any developments there.